With its most popular product turning ten, Apple finds itself at crossroads. The revolutionary phases of the iPhone seem to have subsided. Despite the user loyalty that Apple is famously known for, competitors are beginning to make headway. 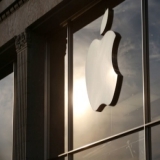 Apple’s lock-in approach has long been criticized. Against this backdrop, iPhone 8 will release and cannot afford to disappoint. Apple can no longer take a complacent view of iPhone’s reach. 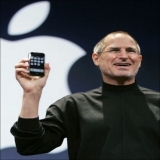 What did Steve Jobs the showman do a decade ago? 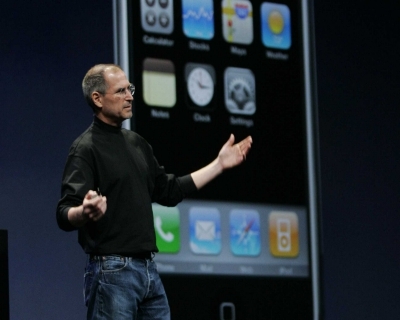 At the Macworld Expo in San Francisco, Jobs got onstage and thanked the audience for coming. He proceeded to simply say: “We’re going to make some history together today”. Enormous amount of hype had been created and almost everyone knew what to expect, and yet could barely contain their excitement. Jobs, after speaking about Macintosh and iPod’s entries and their revolutionizing the computer and music industry proceeded: “Well today we’re introducing three revolutionary products of this class”. 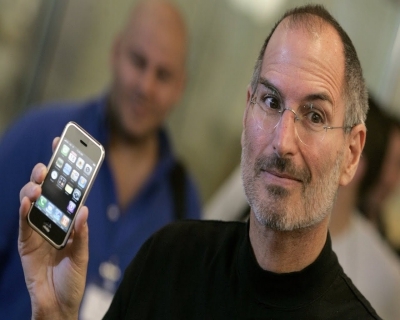 He went on to enumerate – a widescreen iPod with touch controls, a revolutionary mobile phone and a breakthrough internet communications device. He quizzed the audience: “An iPod, a phone and an Internet communicator. An iPod, a phone -- are you getting it ” He explained, “These are not separate devices. This is one device. And we are calling it iPhone. Today Apple is going to reinvent the phone...We want to make a leapfrog product that is way smarter than any mobile device has ever been and super easy to use.” Steve Jobs was proved right and the iPhone did make history. It set the standard for smartphones, garnered tremendous mass appeal and signaled the end of separate music players, GPS receivers and low-end to midrange digital cameras. Why is Apple confronting a different reality now? For a decade Apple rode on the success of iPhone but it can no longer progress in the same direction. For one, the smartphone market has attracted competitors and allowed them to thrive. Rivals led by Google are offering the hardware experience that iPhone could claim as unique. Also the absence of naiveté that characterized the new market has hampered the enthusiasm level of consumers. The transition from flip to smartphones. The pace of this transition is steady – and more so in emerging markets – but smartphone dominance is felt more strongly than before. “The smartphone is your mobile phone, and the mobile phone market grows about 5 percent a year”, says BGC analyst Colin Gillis. A consumer who wants an iPhone is therefore more likely to already possess one. 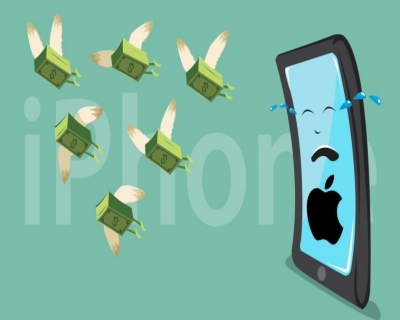 The decline in iPhone sales for the first time in a decade-and-a-half is symptomatic of the turn of the tide as is Apple’s first annual sales drop since 2001. 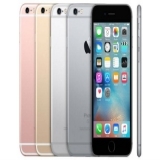 Previous versions of iPhone harnessed new technological milestones to ramp up sales. 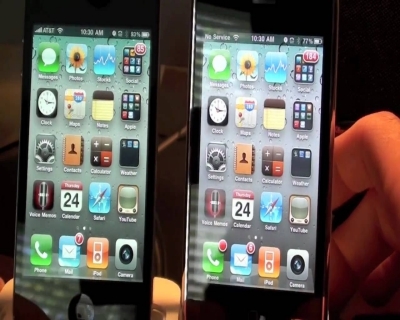 Speedier phones were the incentive to upgrade to iPhone 3G and later to 4G LTE. With the absence of a significant technological advancement, the only reason to want a new phone is “your battery is starting to fail on you”, points out Tim Lesko, a partner at Granite Investment Advisor, and that is less frequent nowadays. When did iPhone evolution set newer milestones? The iPhone 3G model of 2008 came with App Store and third-party applications. It marked a turning point in how the world used phones. 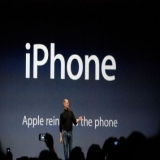 The iPhone 4 model of 2010 has been hailed as the most radical handset by Apple till now. The new industrial design and spectacular retina display – Apple’s brand name for ultra-high resolution screens that make it impossible for a viewer to differentiate between individual pixels at a normal viewing distance – which was the touchstone all smartphone displays served to emulate in the years that followed. The all-glass case design appealed almost universally and the enormous price tag did not deter consumers. 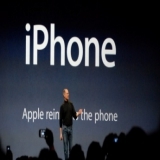 With iPhone 4s, virtual assistant Siri joined the Apple ecosystem. The model also possessed a speedier processor and higher quality cameras. The iPhone 5s introduced fingerprint recognition or Touch ID as Apple referred to it which would go on to become another characteristic of later smartphones. It also enjoyed the status of being the world’s first handset to be equipped with a 64-bit CPU. With iPhone 6 and 6 Plus in 2014, Apple finally showed it was taking its competitors seriously. The regular model and a massive model formed Apple’s first release of two models at a time. It took the popularity of Android phablets – smartphones with screen sizes between a regular smartphone and a tablet computer – to eventually convince Apple that 4-inch display sizes were not as universally perfect as it claimed. Where are the drawbacks of an iPhone? Like all products from Apple, it enslaves the user. Leandro Soriano Marcolino drives home this point in an article in The Conversation. 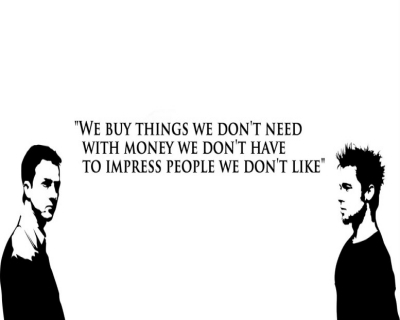 We no longer own our devices. In stark contrast to the open architecture model for PCs which provided the user rights and freedoms to upgrade, remove or replace any part of the hardware, with iPhone, even simple data transfer from the device is a cumbersome process if users do not have Windows or Mac computers. The user is bound to all other Apple products. Music for Apple is synonymous with iTunes and only iTunes. So if the user does not want to run iTunes software, the “privilege” of listening to music has to be relinquished. Digital rights management (DRM) further restricts access of music files to one computer; so all music tracks are deleted if you attempt to transfer songs from a friend’s computer. The user is not free to improvise. Only software approved by Apple and distributed via Apple Store can be run on the iPhone. Code written to cater to the user’s unique requirements is rejected. The device knows you through and through but the vice-versa is forbidden. The phone stores ample data about the user – location, sites visited, social contacts, preferences – that the company can build a detailed profile. The phone’s files on the other hand, are off user limits. For each iPhone purchased, Apple gets volumes of valuable data. While supporters of Apple say the control is a requirement for enhanced security, the Linux operating system proves a system can be open and secure. Also Apple’s strong point – the ability to design products that delight people rather than those that have technological prowess – has drawn strong criticism. 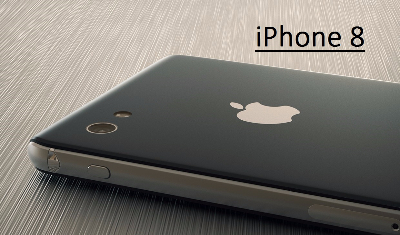 Who are among iPhone’s competitors? Apple could – for a conveniently long time – allege that all its rivals with their Android powered phones were its copycats and take pride in basking in this assertion. But recent releases reveal that there is genuine competition. Huawei’s P9 with its phenomenal camera which provides plenty of shooting modes, slimness, attractive design and scalable storage, P9 stand out from its predecessors as a premium phone. Despite its flaws, the strengths are gathering attention. Xiaomi’s two-year-long development effort into its Mi 5 has resulted in appreciation of its overall caliber. This phone also suggested vaster potential for Xiaomi beyond being a Chinese brand. 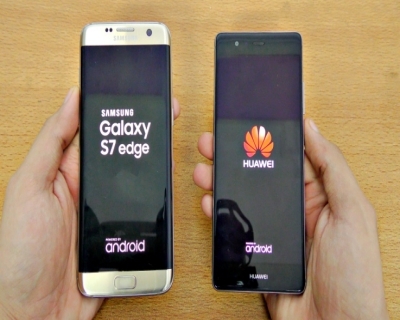 Samsung’s Galaxy S7 and S7 Edge designs and features are said to be a great leap forward for Android phones. Though the software is said to fall short of hardware capabilities, with their fundamentals – great screens and performances, premium materials and polished designs, and dependable batteries – in place, both devices seemed set to make a mark. How can Apple recreate the iPhone magic? Robin Lewis, writing in Forbes attributes the unprecedented mass appeal generated by Apple to the neurological connectivity the brand succeeded in establishing. Jobs is said to have realized the power of this connect and harnessed it. He knew how to exploit the capabilities of science, technology and innovation to design consumer-friendly products. The hype generated through eye-catching announcements at MacWorld, demonstrating the product to Apple fanatics before release, and company initiated ‘rumors’ are part of the plan to step up demand. These are followed by warnings of scarcity and secrecy-driven suspense. This has consumers thinking only about the Apple products prior to their release. From design to support, the focus of Apple has been on getting its audience hooked. How much can it capitalize on the loyal user base Would going more low-priced to get back market share followed by compensation of the difference with services help While Apple is exploring this avenue, it clearly needs another short and long term strategy. Irrespective of how well iPhone 8 sells, Apple needs to plan out its products and services to avoid an inevitable decline. With previous products, Apple knew when they had reached their zenith and the next leap had to be taken to stay ahead in the race. Apple needs to realize that the same has to be applied to iPhone as well. Some possibilities it could explore are catering to a wider audience, setting up a robust IoT ecosystem, smarter AI starting with a more capable Siri, deeper foray into the wireless world, better cloud service, exploring the potential of AR and VR, and shift to wearables.